CUTN Recruitment 2018 Notification: The Central University of Tamil Nadu has circulated a CUTN Recruitment 2018 Notification for 66 Professor, Assistant Professor, Associate Professor Vacancies. The complete information of CUTN Recruitment 2018 is provided in this article. The CUTN is receiving offline application forms. Interested job seekers can fill the application form from 23rd December 2017 to 22nd January 2018. More information such as Post Wise Vacancy Details, Education Qualification, Age Limit, Selection Process, Salary Details, Important Dates are clearly given below. To help the candidates we are providing some simple steps to apply CUTN Recruitment 2018. The Central University of Tamil Nadu released the CUTN Recruitment 2018 Notification. Totally 66 Professor, Assistant Professor, Associate Professor Vacancies are available. Eligible candidates can apply for CUTN Vacancies 2018 on or before 22nd January 2018 through offline mode. This is a great opportunity for Tamil Nadu job seekers. The desired education qualification for CUTN Recruitment 2018 is must possess the Master Degree and Ph.D. Degree with a good score on an organized university board. Candidates age limit should between 18 Years to 65 Years. After checking the eligibility criteria those who are suitable for Professor, Assistant Professor, Associate Professor Vacancies they must fill the application form. Without getting any late read the complete article and apply for CUTN Recruitment 2018. The ending date for submitting the application form is 22nd January 2018. Grab this information and use this great chance. While filling the offline application form aspirants must refer the complete details. On this article, we are sharing entire stuff about CUTN Jobs 2018. As soon as possible applicants must fill the application form and send to the below postal address. Interested candidates who are applying for CUTN Recruitment 2018 they must have a particular age limit. The candidate’s minimum age limit is 18 Years and the maximum age limit is 65 Years. Refer the official notification and check the age relaxation details. The officials are clearly said in the official notification the applicant’s selection process is based on Academic Record and Interview. 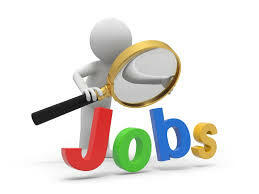 Job Seekers who are waiting for teaching Jobs in Tamil Nadu State they can refer this page. Aspirants must work hard and crack the written exam. Follow this page and check the whole data about CUTN Recruitment 2018. Most of the people are confusing about the eligibility criteria details. For the sake of aspirants in this page, we are providing details on Eligibility Criteria, Selection Process, Application Fee, and Important Dates. Applicants can refer the information from this page or visit the official website of the Central University of Tamil Nadu. The providing information is officially released by the Central University of Tamil Nadu. We suggest all the aspirants without any delay start the application process. Bookmark our website Sarkari Recruitment and get instant updates. The Central University of Tamil Nadu is inviting offline application forms to fill up 66 Professor, Assistant Professor, Associate Professor Vacancies. Aspirants who are waiting for Teaching jobs in Tamil Nadu state must apply for CUTN Recruitment 2018. Interested and eligible candidates can use this chance and apply for CUTN Jobs 2018. While filling the application form aspirants need to pay the application fee. Candidates who belong to the Non-reserved category they must pay Rs. 750/-. And Reserved candidates need to pay Rs. 500/-. Aspirants who want to know the random information they must visit the Central University of Tamil Nadu official website. Aspirants must utilize this golden chance by applying CUTN Recruitment 2018. Complete details are provided on this page. Applicants can also view the official advertisement which is attached to the bottom of the page. Stick to this web page and get more updates about CUTN Vacancies 2018. Job Seekers whose dream is to get a job in Government Sector for those aspirants this is the best career opportunity. Candidates must have Master Degree and Ph.D. Degree with a minimum score on an organized university board is the required educational qualification. And the Maximum Age Limit is 65 Years. The upper age relaxation is as per Central University of Tamil Nadu organization norms. The Central University of Tamil Nadu officials is clearly mentioned in the notification the applied candidate’s selection process is purely based on Academic Record and Interview. For Non-reserved candidates the application fee is Rs. 750/-. And the Reserved candidates must pay Rs. 500/-. For Professor: Rs. 37400 to 67000/- Along with Grade Pay 10000/-. For Associate Professor: Rs. 37 400/- to Rs. 67000/- Along with Grade Pay 9000/-. For Assistant Professor: Rs. 15600/- to Rs. 39100/- Along with Grade Pay6000/-. The Starting Date To Fill The Application Form: 23rd December 2018. The Closing Date For Submitting the Offline Application Form: 22nd January 2018. Firstly, applicants must visit the official web portal of the Central University of Tamil Nadu. Find For CUTN Recruitment 2018 Notification. Now the information on official notification. Aspirants who are suitable for Professor, Assistant Professor, Associate Professor Vacancies they must download the application form. Candidates must fill the application form with exact details. Pay the category wise application fee. Recheck the information and send the application form to the following address. Take a print out for further purpose. We suggest all the candidates check the above provided CUTN Recruitment 2018 information and submit the application form. The given details are useful for the job seekers who are eagerly looking for CUTN Jobs 2018. Aspirants can easily check their result on सरकारी रिजल्ट. For more information stick to this web page and get regular updates on CUTN Vacancies 2018.